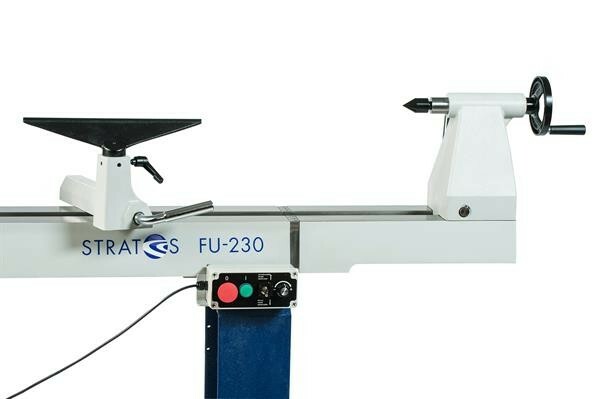 Product information "Stratos FU-230 bed extension"
This bed extension is 400mm long and can be easily bolted to the end of the lathe OR in 3 positions on the heavy duty legs, giving loads of scope for larger and longer work. Increases swing to 32" if bolted to the side of the leg. PLEASE NOTE: Delivery is free if ordered with lathe but postage will apply at cost from Germany if ordered at a later date from your lathe order. Related links to "Stratos FU-230 bed extension"
Customer evaluation for "Stratos FU-230 bed extension"